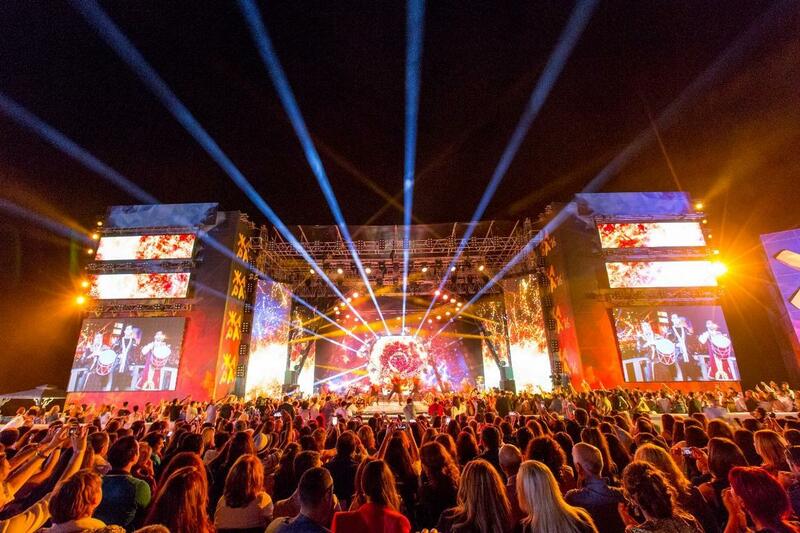 Analytical agency TurStat has presented the rating of the best open-air festivals of CIS countries this summer. According to Turstat, the Rock for Bobrov festivals in Minsk (Belarus), Zhara in Baku (Azerbaijan) and FourE in Almaty (Kazakhstan) are among the top three open air music festivals in the CIS, popular with Russian tourists. The rating is based on the analysis of attendance of festivals. Each summer since 2016, people gather in Sea Breeze Recreation Center, to share a universal love of music at International Music Festival "Zhara 2018". The long-awaited summer event will take place in the Sea Breeze recreation center on July 26-29. The festival is held for the third time. EMIN, Grigory Leps, LOBODA, Leningrad, A'Studio, Artik & Asti, Alekseev, Burito, Valery Meladze, Egor Creed and others singers will perform on the same stage. Overall, more than 500 guests, including musicians, dancers and members of delegations arrived last summer in Baku for the music festival. The long awaited festival stipulated multiple days of entertainment and unforgettable concert-going experiences for about 10,000 spectators who followed the festival every day. LOBODA, Emin Agalarov, Grigory Leps, Vera Brezhneva, Ani Lorak, Anita Tsoyand opened the festival. Russian pop stars, including People's Artist of USSR, Prima donna of the Russian pop music Alla Pugacheva, People’s Artist Filipp Kirkorov, Honored Artist Kristina Orbakaite, well-known TV presenter and comedian Maksim Galkin also joined the festival. The ticket to fan zone costs about $30, while ticket price for seats costs $50-300. Zhara is a joint project of Azerbaijani singer Emin Agalarov, honored artist of the Russian Federation Grigory Leps and founder of the Russian radio award "Golden gramophone", Sergey Kozhevnikov.